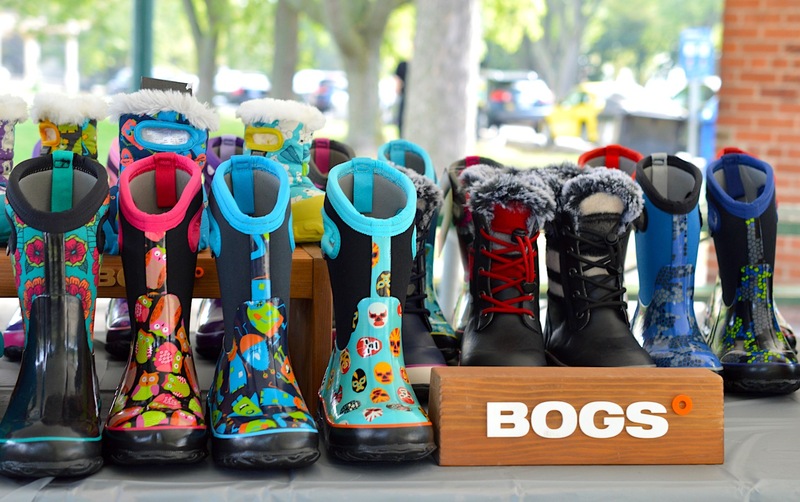 Bogs is an iconic brand, especially for children's boots. I remember during my quick stint as a teaching assistant at TFS, all the kiddies would pull on their cute patterned Bogs for recess and could run around in them for days. 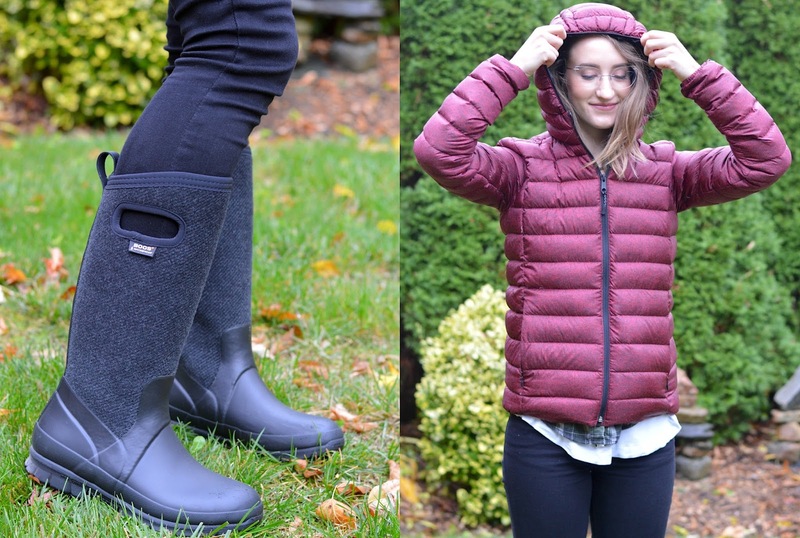 Bogs boots are 100% waterproof, and made from 3mm Neo-Tech™ insulation, which is essentially neoprene with nitrogen bubbles to keep you warm. Their new Max-Wick™ moisture wicking lining helps my feet stay dry and comfortable. Durafresh, Bogs' earth-friendly bio-technology activates to turn the moisture from your feet into water vapour and CO2, fighting unwanted odors. Bye bye, smelly feet. I can't wait until my nephew is old enough to wear a pair of dino Bogs! Just the sweetest. The Crandall Tall Wool Boots retail for $180 and can be bought online here. I'm wearing them in Dark Grey, but they also come in Black and Plum. After much walking around downtown, enjoying the comfy bounce of their Rebound soles, I can say that these boots are commuter-approved. This, my friends, is fleece-lined wool. These Crandall Bogs are special - not only will they protect you from rain, they're also good to go down to -40°C. Freaky! And an amazing bang for your buck. Next up is Roots' Zip Down Packable jacket. Yes, this rolls up into that tiny little bag that sits in the jacket's pocket. Talk about travel-friendly. This amazing Canadian staple come in two lengths: this waist-length is $168, and the longer length is $178. My recommendation would be to spend the extra $10 for some bum coverage. This jacket is incredibly soft and cozy, perfect for the daily grind since you won't overheat on transit. I love the heathered red pattern, it's a nice change from classic black. I'm wearing it with my favourite Anne Sportun 34" Pyrite Gemstone Wrap Bracelet worn as a necklace. I literally never take it off. FYI Bogs even has super chic mens boots, like the Johnny 5-Eye ($210) or these suede ones that my friend David is sporting. Next on my wishlist? 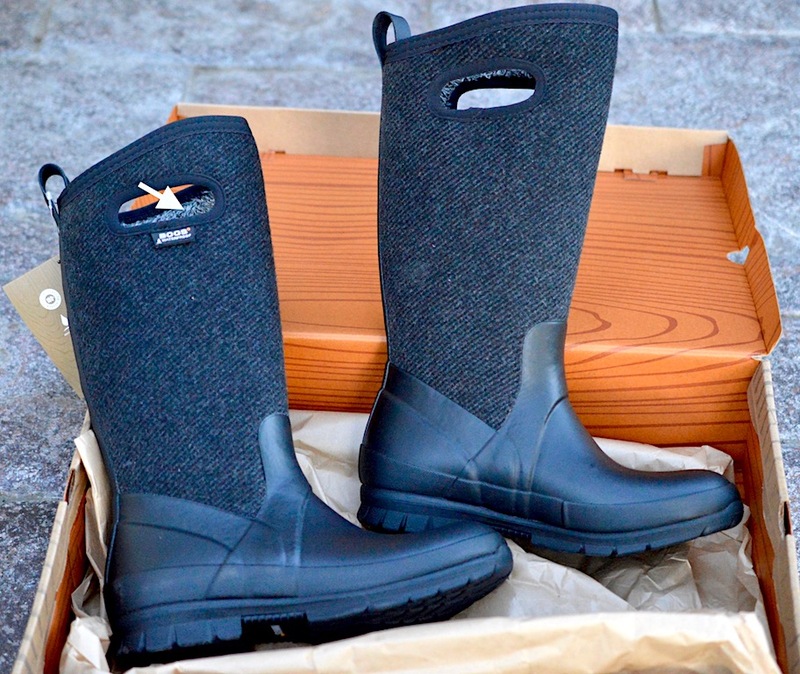 The Auburn Rubber Boots from Bogs. 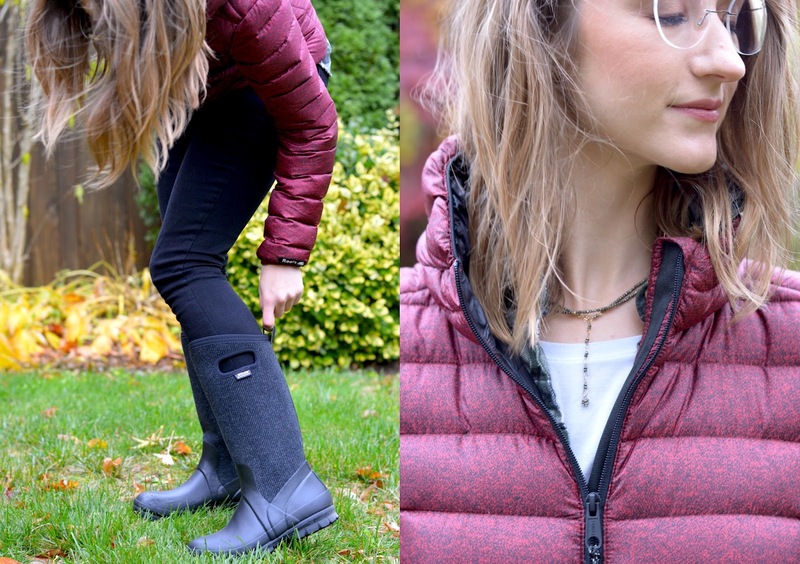 The *waterproof* Chelsea boot never looked so good, and I now believe that every pair of shoes I wear should have GlacialGrip technology. Slipping on ice is way too common. 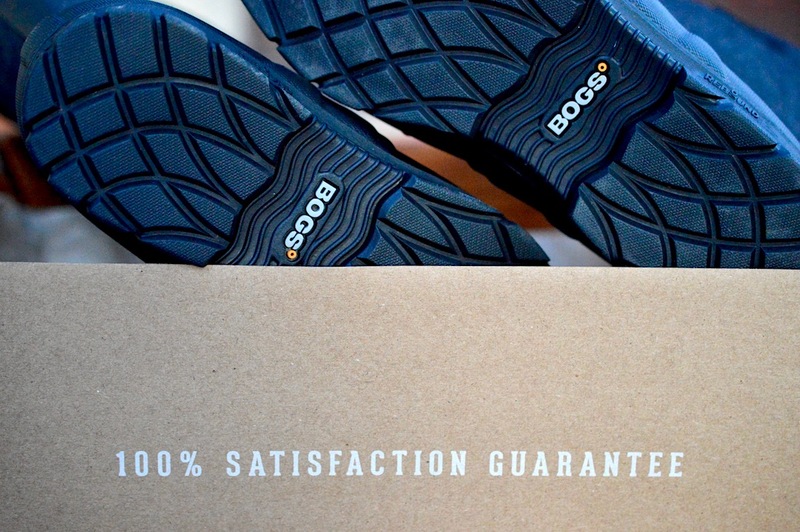 Listen, my Bogs have saved me over the past few days. And this weather is only getting worse, so pick up your own pair here!